Rt. Hon. O. S. Arthur: To move the passing of a Resolution to approve the draft Electoral and Boundaries Commission (Review of Boundaries) Order, 2006. Rt. Hon. O. S. Arthur: To move the First Reading of the Representation of the People (Amendment) Bill, 2007. Hon. R. R. Farley: To move the passing of a Resolution to approve the compulsory acquisition by the Crown of parcels of land situate at Fontabelle in the parish of Saint Michael in this Island for the public purpose of facilitating the expansion of the existing Waste Water Treatment Plant under the ambit of the West Coast Sewerage Project. Hon. R. R. Farley: To move the passing of a Resolution to approve in accordance with Section 5 of the Crown Lands (Vesting and Disposal) Act, Cap. 225 the vesting in the National Housing Corporation of a parcel of land, the property of the Crown, situate at 1st Avenue Long Gap in the parish of St. Michael, in this Island for disposal by way of sale of residential purposes. Notice of this Bill was given on 13th March, 2007. The Bill was read a first time on 13th March, 2007.
and further that extensive research and docuuntation of the identities and roles of enslaved Barbadians who were engaged in resistance during slavery be carried out in order to highlight their impact on post emancipation Barbados and finally that we the People of Barbados recommit ourselves and call on all countries and people everywhere to recommit themselves to the removal of all vestiges of slavery and discrimination wherever they still exist. Notice of this Resolution was given on 16th March, 2007. Hon. Miss M. A. Mottley: To move that the House resolve itself into Committee of Supply to consider the grant of sums of money for the service of this Island. (a) Hon. Miss M. A. Mottley: To move the passing of a Resolution to grant the sum of $ 17 754 666 from the Consolidated Fund and to place it at the disposal of the Government to supplement the Estimates 2006-2007 as shown in the Supplementary Estimates No. 14 2006-2007 which form the Schedule to the Resolution and that the Explanatory Notes to Head 49 be amended as set out in Schedule II to this Resolution. Hon. Miss M. A. Mottley: To move the First Reading of the Barbados International Business Promotion (Amendment), Bill, 2007. Hon. 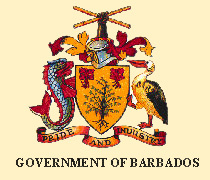 Miss M. A. Mottley: A Resolution to approve the Barbados Physical Development Plan as amended 2003.